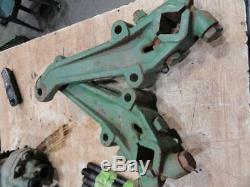 John Deere A B G 800 Rockshaft arms 3pt Part number P816A and P815A Used on the A B G 50 60 70 with the 800 series 3pt hitch In really good non worn condition. The pin holes are not worn or egged. 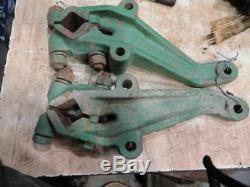 John Deere A B G 800 Rockshaft arms 3pt. Part number P816A and P815A. 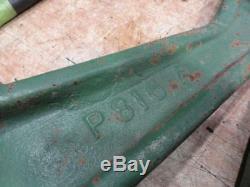 Used on the A B G 50 60 70 with the 800 series 3pt hitch. In really good non worn condition. Parts Inquiries and General Questions Welcomed! Styled A B G 50 60 70 520 530 620 630 720 730. ALL INVENTORY IS NOT LISTED ONLINE PLEASE CALL. Be sure to add me to your favorites list. Get Supersized Images & Free Image Hosting. Attention Sellers - Get Templates Image Hosting, Scheduling at Auctiva. 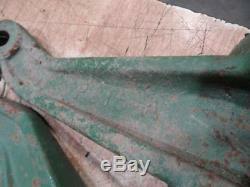 The item "John Deere A B G 800 Rockshaft arms 3pt P816A and P815A A B G 50 60 70" is in sale since Tuesday, November 20, 2018. This item is in the category "Business & Industrial\Heavy Equipment, Parts & Attachments\Heavy Equipment Parts & Accessories\Antique & Vintage Equipment Parts". The seller is "millertractoron480th" and is located in Kalona, Iowa.